Roy and Jacqueline Forge both worked at Myers in Langley Green. They emigrated to Australia in the 1970s. Roy’s sister, Sheila Munday, still lives locally. “My sister and I were both born in Parkfield Road, Causeway Green, Langley. In those days the house was opposite where the council houses are. Well, actually they didn’t exist then. I remember them going up when I was four, five, six years old. My dad worked at Myers, it was the only place he ever worked, even from the old factory in Birmingham. That’s where he met mom, in the old factory. She was a Black Country woman, and he was a Brummie, born and bred in Ladywood. Then they transferred to Langley, behind the railway station, near to where the old picture house, the Regent, was. 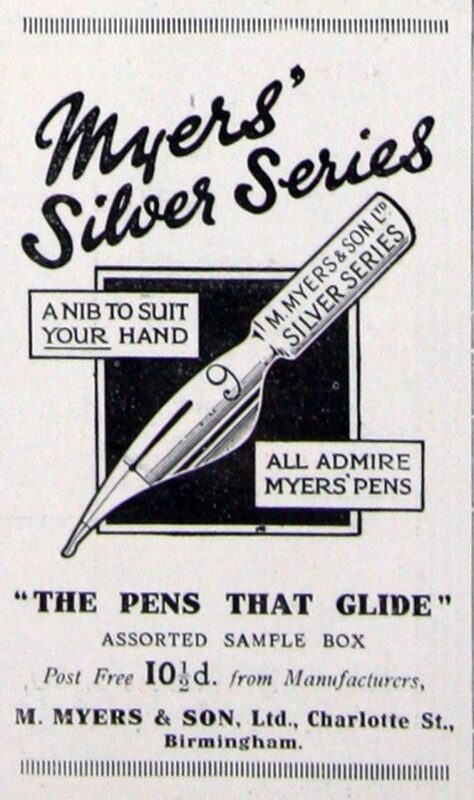 When I left school I went to work at Myers in 1963, as a tool-making apprentice. I left school at 16, as I went to Oldbury Tec; started off at Flash Road Road - the original one, now knocked down - finished up at the new one at Pound Road. It was a five-year apprenticeship, 16 to 21, but I didn’t complete it. Our father died the year after I started. 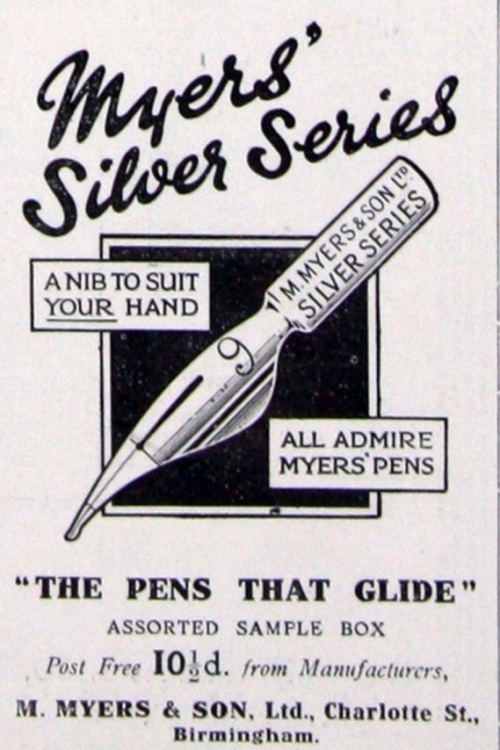 Myers started making pen nibs in Birmingham and they still made a lot when they moved up to Langley, but when World War Two hit they were making bomb clips and that sort of stuff for the war effort, not office stationary equipment. Mom was more or less pressed back into service. Her parents lived with us, so the authorities said, well, you can go back to work. So Nan was left to look after my sister Sheila while dad, mom and granddad all went to the factory. Granddad worked at Albrights and went later to MCL around his retirement age. He kept working till he was 80. We always said, ‘The minute he stops work he’ll drop dead’ and he did virtually. 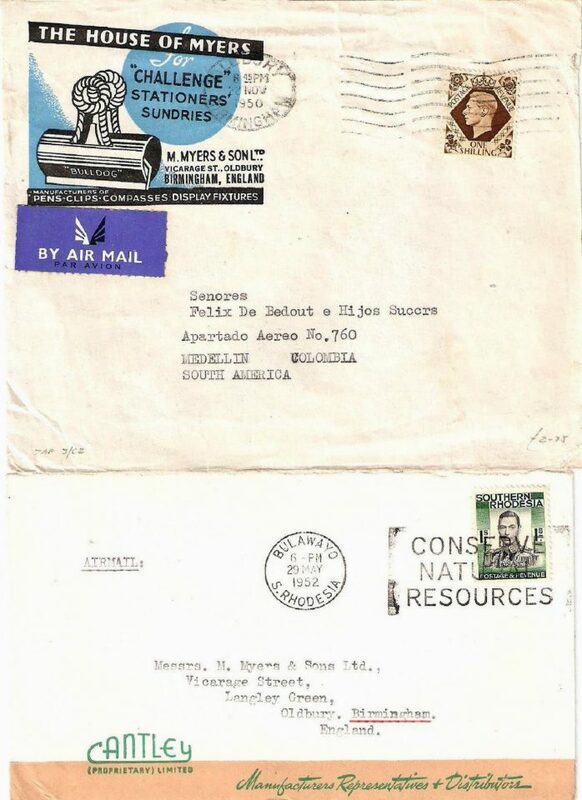 After my dad died, mom married again and they moved over to Bushbury area in Wolverhampton and grandad found a job at Chubb locks and safes, just labouring. Told them his wrong age. I don’t think he ever knew his right age. 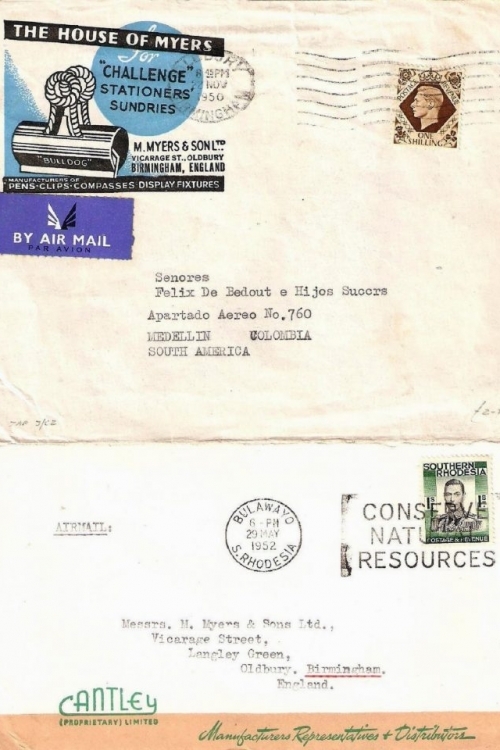 About 300-350 people worked there at Myers; it was never an Accles and Pollock, it was never thousands. I worked making press tools - hand press tools, single action press tools, progressive press tooling with different actions in one tool for power presses. Later on, though it was up and running when I started, they had a small plastic moulding section. They also had a Heenan and Froude section. How can I describe it? 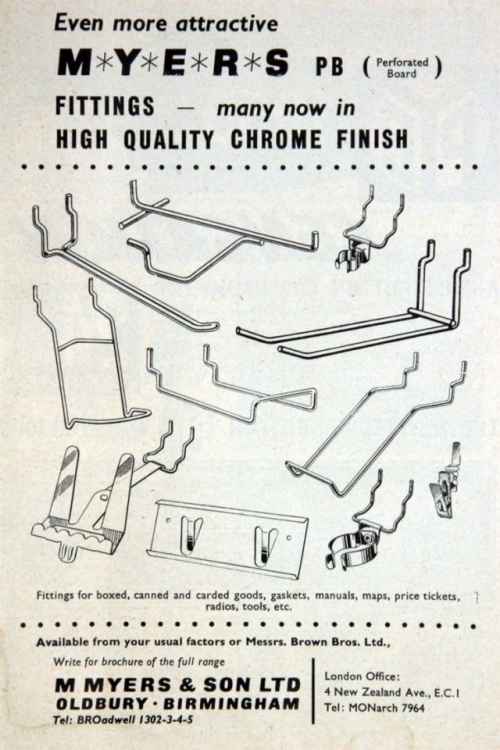 They weren’t actually presses; they were horizontal and they were folding, piercing and blanking machines and it was on those that they made the Bulldog clip springs, the barrel. You would feed flat metal in and it would fold it, put rolls in it, whatever you wanted to do with different slides coming in, instead of an up and down press. 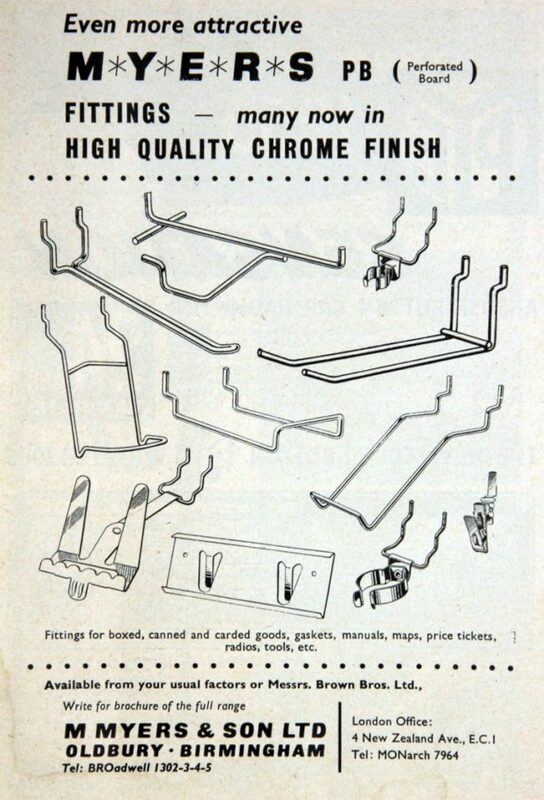 And there also wire folding machines for the wire handles on the foldback clips. They would start with a coil of wire and come out as a completed spring handle that was clipped into the foldback clips. They were done on those sort of machine. The wire forming machines were called multiform machines, because they were capable of different operations on different planes simultaneously. When I started, there was an active cricket club and they had started a football club, but they didn’t have a football ground. They had a sports ground on Causeway Green Road, which they sold in the 70s. Our father was captain of the cricket team for many years, even while I was growing up. He played well into his 40s. I went into the cricket team when I started at Myers. They also had two tennis courts. The football team wanted somewhere to play, because playing on parks pitches was for the birds. The cricketers and Harry Bastable, the groundsman, didn’t want a football pitch over the cricket square. Fair enough. So what they did was clear the rest of the ground grounds up to the tennis courts and beside the pavilion and beside the railway line. The one goal was almost hard up against the tennis chain link fence and the other came somewhere between the boundary and central square of the cricket ground. It was sold to the council for a special school, so we had to go back to playing on the parks. In the canteen upstairs there were two three-quarter size snooker tables. They always had an annual children’s Christmas party. I don’t recall the outings in the summer, as invariably granddad used to take me to the MCL summers outings. Once I’d got to secondary school age, I used to go play snooker. There was one down in Oldbury, it was a shed, a big tin shed, like an old factory unit - and inside he had three snooker tables full size, and a great big wood burning pot belly stove in the corner for winter. In the summer, if you got hot weather, it was like a sweatbox. 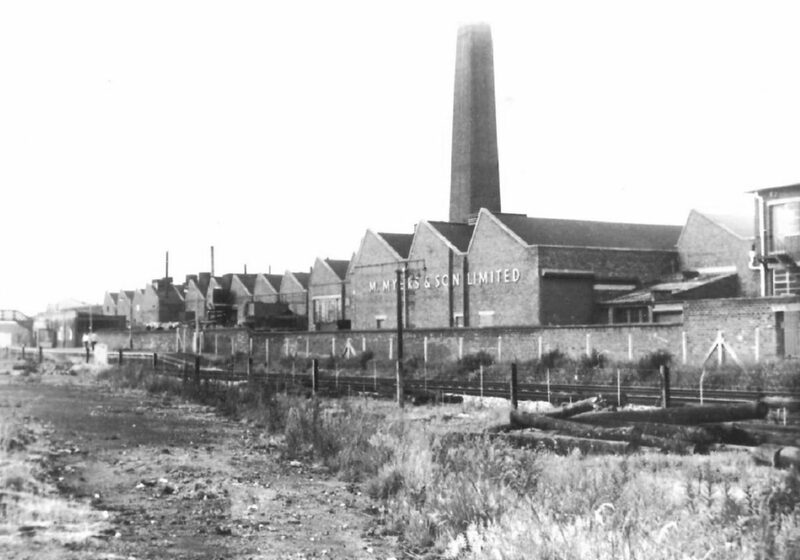 It was in Churchbridge area, between the factories. I can’t remember the name of it for the life of me. It was a rough and ready place, a bit dusty. I had a variety of jobs after Myers. I broke my apprenticeship after two years. We’d got a young family by then, so you had to chase the pound, worked at a variety of jobs - I did bread deliveries for a while - before I got back into engineering as a toolmaker improver. I went back to Myers twice. It was a family business and they liked to employ members of same family as other employees. It wasn’t the sort of place that said, well, if you leave can forget us for the future, don’t come back. They would welcome back people they knew, especially if you proved to be a decent worker. The last time was in the 70s. 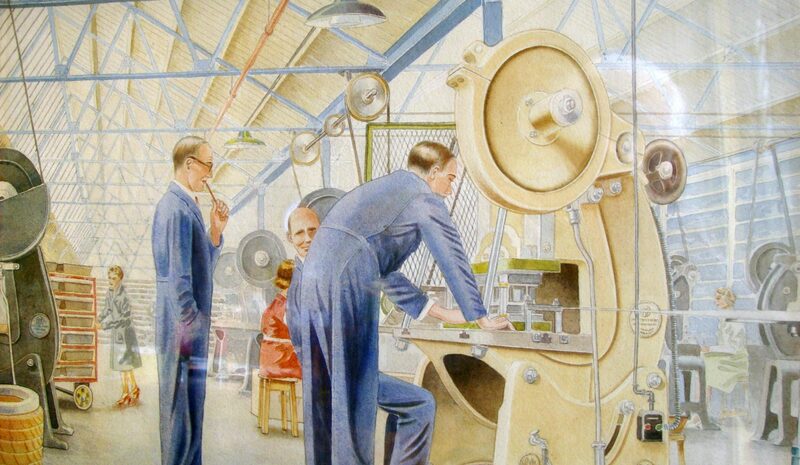 I finished up at a spring factory, Gilsan, in Netherton before we emigrated. 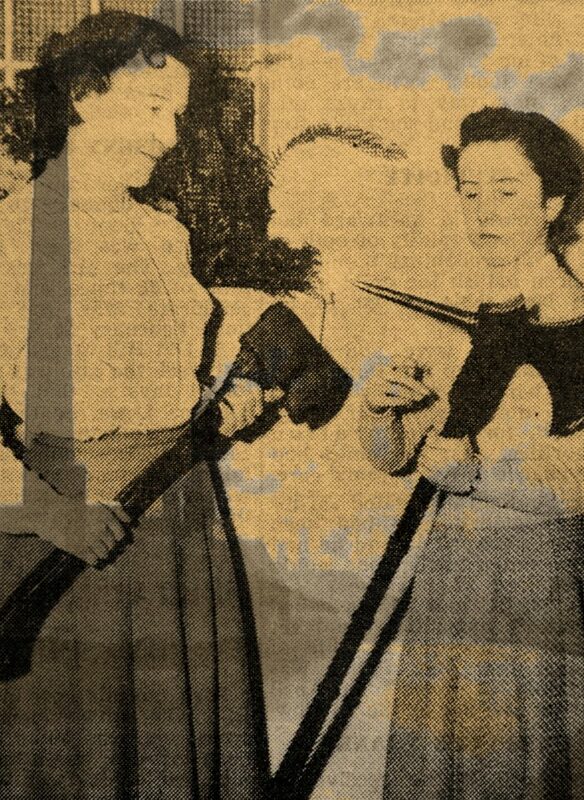 It was named after the founder’s daughters, Gill and Sandra. “I was born in Tat Bank on Engine Street, where the Pump House is, on the side of the canal there, in 1945. The boats from Fellows Morton & Clayton were still coming up and down the canal, mainly with coal I think. Our houses, along with all the houses on Popes Lane and Parsonage Street, were pulled down about 1950-1, and the people rehoused, mainly in Whiteheath and the estate we used to call the ‘Back of the Barrel’, which is Causeway Green. Now of course it’s all factories. The factory that was built where our houses were that has had been knocked down and there’s another factory there, so it’s like three layers. It’s sad to see really, although they were old houses. My mom would get very indignant when people called them slums, because she said, ‘Houses don’t make slums, people make slums.’ It’s really sad to look at now. On one corner was a sweet shop and on the other corner was a really old shop called Holdens and we used to get lamp oil from there. Our house had no electricity, it had gas lamps downstairs, but none upstairs so we had to use oil lamps. On a Friday afternoon after school we fetched it, and take it in turns, as nobody liked to go there. I used to go with my sister, who was two years older. Our older sister would go by herself, she was eight years older. We used to go to the Savoy Cinema on the Bustle Bridge, Saturday mornings to watch Roy Rogers and the Thunder Riders. The Palace was at the other end, I don’t think they had a Saturday morning children’s thing. I went to work at Myers when I left school in 1960, in the offices. My sister also worked at Myers, up in the wages office, when punch card operators first came in. The personnel manager was Danny Owens and the training officer, Roy Morley, was Roy’s boss. I worked for those.